This entry was posted on Friday, February 25th, 2011 at 2:07 pm	and is filed under Cookies and Bars. You can follow any responses to this entry through the RSS 2.0 feed. You can leave a response, or trackback from your own site. Brava, Tinky! The film is just as delicious as you imagine. You have a treat in store, and thanks for the inspired post. Shortbread is just perfect! Funny post! I’m guessing that getting peeps to have tea and biscuits instead of bubbly or something else more celebratory is gonna be tough though–good luck! Love the cup and your presentation of the biscuits. I know nothing of teas and shortbreads. Would it have been served hot or cold, and with or without jam and/or butter. 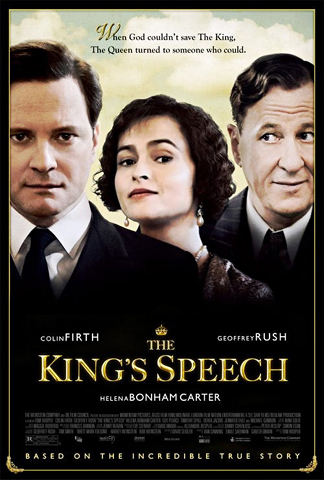 You’ll love The Kings Speech. Will sip fragrant, piping hot First Flush Darjeeling (brought from Connecticut to San Francisco by generous, good-hearted partner) in tribute. Unfortunately, due to various “over-50” health issues, biscuits, scones, shortbreads and jams have joined my growing “do not eat” list. Thanks, Mary; I can’t wait. Nancy, I have a feeling you’re right about persuading folks to have tea and biscuits. 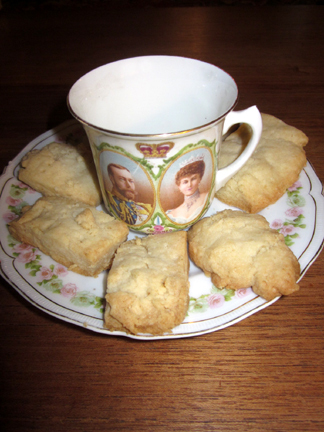 Jean, the tea would be hot and the shortbread cold; it’s so buttery that it doesn’t need any additions. Paul, your tea sounds perfect. I’d offer to eat a piece of shortbread for you, but I have exceeded my quota! Am I the only female in the whole world who doesn’t fancy Colin Firth – he does nothing for me at all …… but on the other hand, George Clooney, Robert Downey Jnr and Johnny Depp – oh, I’m having palpitations at the thought of the 3 of them!! I love shortbread – it is a traditional Scottish treat. Ah, Frayed, I’m with you on Clooney, but Downey and Depp I like better as actors (which isn’t a bad thing) than as crushes. Still, I think it’s a GOOD thing that tastes vary in this regard! that does it…… sigh….how I have to make some shortbread biscuits….. The nectarine scones are all gone anyway….and there are only two chocolate biscotti left…so it’s time to do something …. Oh I love shortbread. A lot. Never been a big tea fan, as it doesn’t sit well in my stomach so I would be the one eating all the shortbread at the tea party! My goodness, BumbleVee, your scones and biscotti sound pretty terrific. 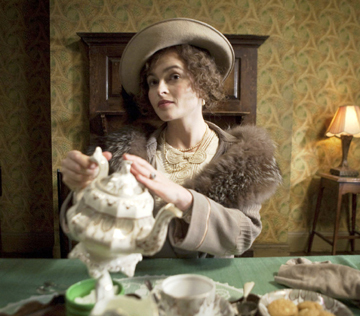 I’m with you on the tea, EveryDay, but I do sip just a little to be polite. 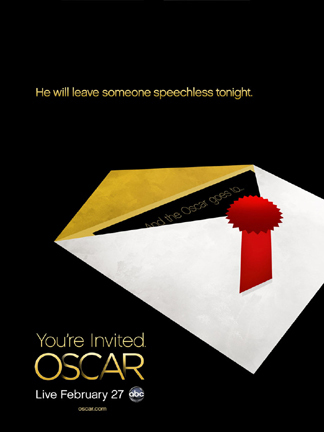 This film was greatly honored last night. I hope to be able to see it soon. Great posting too! I love shortbread almost as much as I love Colin Firth! Glad to see he was duly honored on Sunday. And you’ll love The King’s Speech. I thought he gave a nice speech himself, too. Thanks to you both for stopping by….. Tea and biscuits is probably one of my favorite little breaks in the day. That homemade stamp is adorable. I definitely need to get one! We need our little luxuries, Pushpa!